Our retreats for the next 12 month. A weekend of Pilates, deliciously healthy food and Holistic therapies in a beautiful and comfortable environment at Bracken Hill in The Lake District. Please email annie@energyflowfitness.co.uk to reserve your room and recieve payment details etc. Pre-attendance questionnaires will be emailed out on receipt of your booking, the food will be tailored to your dietry needs. 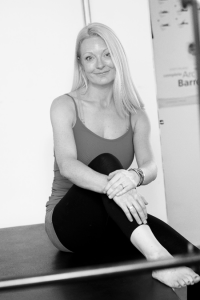 Enjoy a perfect weekend of Pilates and fine food with Sarah and Suzanne. “as ever a truly nourishing experience in all aspects something for your mind body and your soul book me in for next time! Free time to explore Kendal, go walking, explore, read or snooze! Suzanne has been professionally catering for private clients and Demarle cookware for over 10 years. She produces first class quality home-made food that provides the balanced nutritional requirements for exercise whilst also being extremely tasty and enjoyable. Suzanne specialises in fish, game and vegetarian dishes that always use the best locally sourced ingredients, fresh & seasonal. Her deserts have a reputation to die for! Suzanne is creating a menu for the weekend to complement the pilates program. From fuel at the right time to keep your energy levels up, lighter meals for resting and recovery, to evening treats to relax & celebrate at the end of a hard days work.